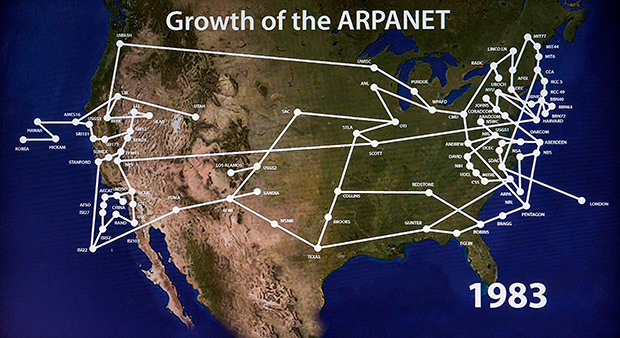 The modern Internet grew out of the American network of ARPANET, developed for the Ministry of defense. But few people know that the Soviet Union tried to create a unified computer network, not only for military purposes but also to optimize the management of economy in a planned system. .<url>" explains why, despite the ambitious plan, to implement the project failed. In 1962, the head of the Department of technical physics, Kiev, Institute of physics Ukrainian Academy of Sciences Alexander Kharkevich published in the journal "Communist" a very interesting and progressive article. In it, he argued that the tasks of processing and collecting information, it's time to pass on connected computers, so the results of one data center are taken fully into account others. It was about the statistical information needed to control the country in a command economy. In fact, he proposed to make the network like the modern Internet. Kharkevich compared it with networks of transportation or power and pointed to the need to build a Unified national system of information transmission that will work on the basis of already existing channels of electric communication. The main role in it was assigned a computing and control centres, which were to obtain data in digital form — "a sequence of some numbers." The engineer indicated that the structure of the network must provide an adequate supply of vitality — that is, in case of overload or failure of certain sections of the data flow should be sent on detour. So now the Internet works. The author pointed out that the uninterrupted operation of the network can only be achieved under centralized automatic control. Such a centre would control the routes of the flow of information because of its volume and speed of transmission is not assumed manual control. Kharkevich wrote that analogues of such a system already exist abroad, but they do not have a unified command center and are divided into different companies and agencies. "This is, for example, a large system Sage (USA), manages an extensive set of defense; has a number of systems serving private enterprises industrial enterprises", — said the scientist. Finally, the engineer concludes that the creation of the described communication system fully possible only in a socialist state in a planned economy and centralized governance. 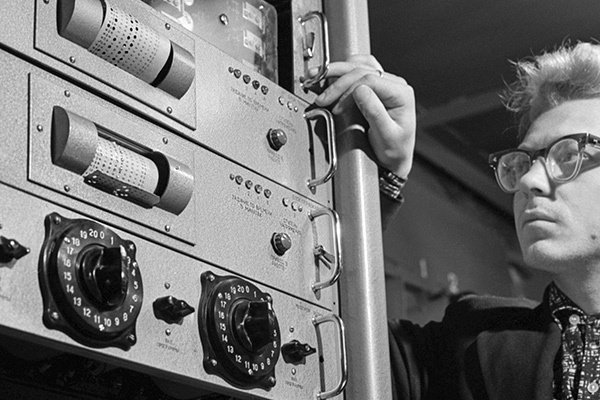 However, the Soviet Internet, little is known, and the basis of the modern Internet eventually became the ARPANET, developed for the Ministry of defense. Adopted at the XXII Congress of the CPSU party program suggested that Cybernetics will play an important role in the future of the country. The paper stated that the electronic computer system to be used in production processes, construction planning, scientific research and other fields. The Soviet press called them "machines of communism" and the USSR Academy of Sciences producing collections of articles entitled "Cybernetics — in the service of communism." The CIA not only took these statements seriously, but even organized a special unit to study the "Soviet cybernetic threat". In 1962, one of the advisers of President Kennedy wrote that by 1970 the Soviet Union will be able to develop "radically new production technology, which will include enterprises or industrial complexes operated in closed feedback systems that would include self-learning computers", and warned that in this case America, "the end will come". However, the Soviet authorities understood the term "Cybernetics" not only as a complex feedback control and transmission of information, but as mathematical process models that will allow you to control the actions of machines, living organisms and society. At a time when the country was Stalin, Cybernetics treated with caution, but when Khrushchev changed all that. In 1958, the development of models and methods of computer planning and management of the economy was only a small group of scientists. But two years later the country held the first cyber conference in the field of automation of the national economy have started to work about 40 institutions. By 1967, the Scientific Council on Cybernetics coordinated studies conducted more than 500 institutions. 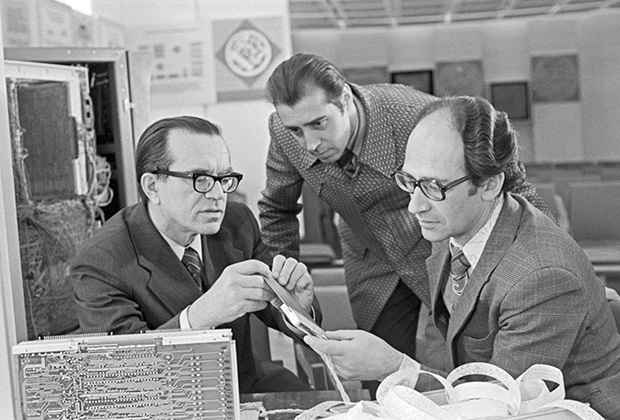 Early Soviet development to create computer networks and automated management of the economy involves the use of already existing Soviet communications and computer capacity. They were created as a response to the American initiative SAGE — centralized network command and control centers able to coordinate the response to a massive air attack of the enemy. The Soviet Union implemented a system of air and missile defense, and the control system of spy satellites. Each of them has developed their own independent network. It is their capacity and bandwidth channels planned to take advantage of Soviet Cybernetics in the creation of a centralized system of collection and processing of statistical information. They noted that the potential of the complexes are not involved 100 percent, and therefore, they can be used for peaceful purposes. The military reacted to the proposal of scientists with a fair amount of skepticism. They are not pleasing to the possible link their networks with the management of the economy, because in this case, they took responsibility for the development of the country. One of the authors of the initiative — Soviet scientist, engineer-Colonel Anatoly Titov — later recalled that officials were afraid of becoming unnecessary, if their functions will be performed by machines. However, the interest of the Soviet leadership to Cybernetics dried up and a significant role was played by the article by Alexander Kharkevich. The idea that all economic problems can be solved by using networks and computers, like the ruling elite. However, the party was not ready to go to drastic measures, both in the field of creation of information infrastructure and in the sphere of political reforms. Leningrad computing center. 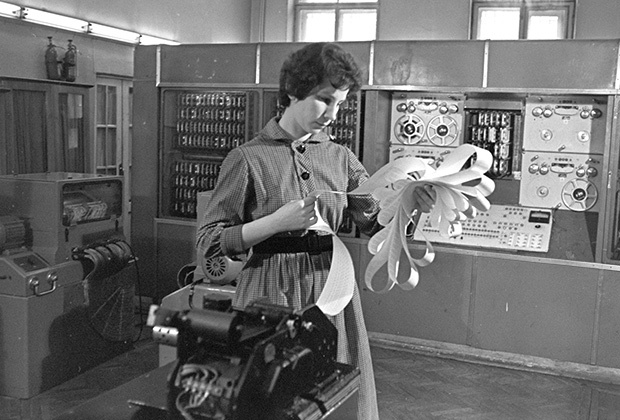 Researcher Irina Pavlovna Lukashevich viewing the results of calculations of the computer, 1963. Photo: "Light" / "Kommersant"
Interestingly, the principle of centralization of the system of transmission, storage and processing of data, which, according to Kharkevich, can function only in a socialist state, was at odds with the words of Norbert Wiener, the founder of Cybernetics. He believed that his social theory does not strengthen, but on the contrary, you destroy the vertical management system, allowing various segments of the population to communicate freely and to exchange opinions. Among Soviet Cybernetics then, too, there were two groups: relatively liberal calling for the extension of civil liberties and the introduction of market elements in the economy, and Pro-Soviet. An end to their dispute in 1963 put Khrushchev, who said that absolute freedom is incompatible with communism. "Who thinks so does not understand what communism is. Communism is a slim, organized society. In this society, production will be organized on the basis of automation, Cybernetics, production lines. If the cog is wrong will work, the entire installation will stop," — he said at a meeting with intellectuals. In November 1962 the Chairman of the USSR Council of Ministers Aleksei Kosygin called to his office the head of the Academy of Sciences Mstislav Keldysh and Director of the Kiev Institute of Cybernetics Victor Glushkov. Scientists have proposed to Kosygin new plan of automation of economic planning — now on the basis of a separate military unified network, specially created for this purpose. The plan, drawn up after studying the work of nearly a hundred public organizations, involves the construction of a 100-200 large data centers in large cities, to which a high speed communication lines will be connected about 20 thousand small. Plan Glushkov was not purely speculative. Unlike his predecessors, he not only worked on mathematical models, but also collaborated with economists. The main idea of his project was to simplify the painful procedure of data collection in offices and in production. At the time it was carried out in the planning system, logistics, statistics and Finance — four independent channels, practically does not interact between themselves. 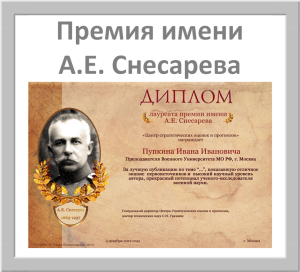 Glushkov believed that all information should be stored in a Central digital structure and to be removed therefrom almost instantly. Moreover, his system was to manage all the processes in the state, up to the automatic scheduling of day for each employee. I don't Glushkov immediately found opponents, primarily heads of companies and officials. They felt that the system will take care of their functions and weaken state control over information. Liberals saw it as an attempt by conservatives to centralize the economy in contrast to the gradual introduction of market elements. The project was also very expensive — its implementation was supposed to spend 20 billion rubles over 15 years. Glushkov argued that it will pay off very quickly, but nobody seemed to care future earnings, when it was necessary to take into account today's spending. In addition, the scientist is faced with opposition from the agencies, data transmission network which it was necessary to combine into a single system. They strongly delayed and sabotaged the process, shifting the responsibility on each other. The problem lies in the fact that the plan must be implemented simultaneously at all sites, after the loss of several links, it would be impossible to form a single network. A significant contribution to the failure of a plan to create a Nationwide automated accounting system (OGAS) has made the coming to power of Brezhnev. The country's new leadership tried to avoid drastic changes in the field of public administration and distrusted anything new. Computerization of departments and enterprises took place in this time, but the actions of officials and managers were quite disparate. In one Agency installed the equipment and write software that is not compatible with others — and thus the complexes could not work within a single system. The plan for the creation of OGAS continued to argue at the subsequent congresses of the party, but it did not help in its implementation. However, separate departmental networks, which had to work within a common infrastructure, yet lasted until the collapse of the Soviet Union, and then finally ceased to function. New emerged only in the 1990-ies, but they were attended by a private business, not the state.